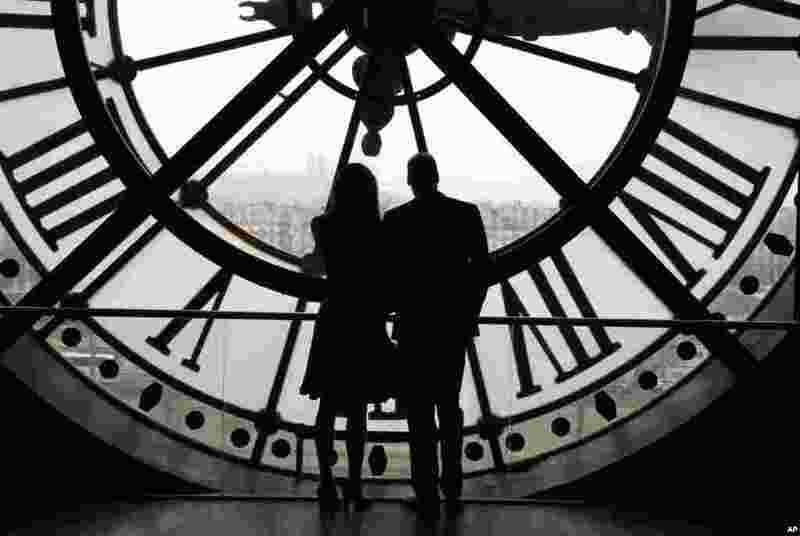 5 Britain's Prince William, Duke of Cambridge, and his wife Britain's Kate, Duchess of Cambridge, are silhouetted as they look the Seine river through a giant clock at the Musee d'Orsay museum -the former Gare d'Orsay train station- during their visit to the museum in Paris, France. 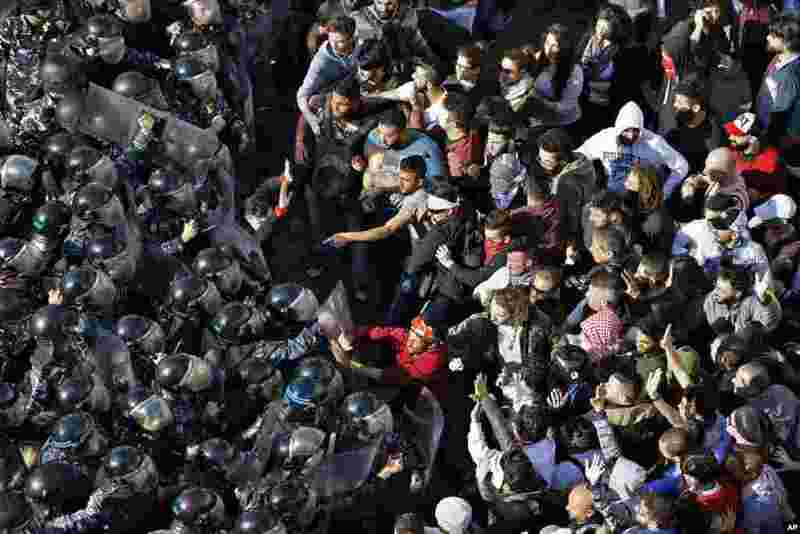 6 Lebanese anti-government protesters push riot police as they try to reach the government headquarters during a protest against new taxes, in downtown Beirut. 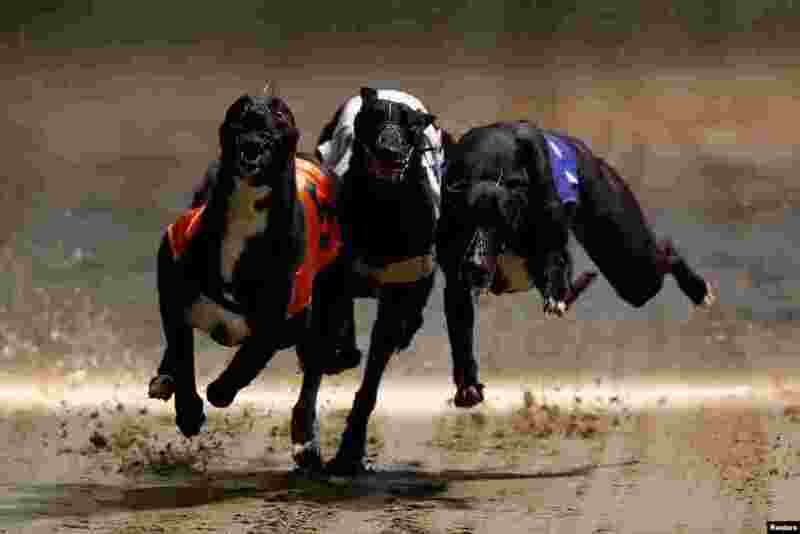 7 Greyhounds compete during a race at Wimbledon Stadium in London, March 18, 2017. 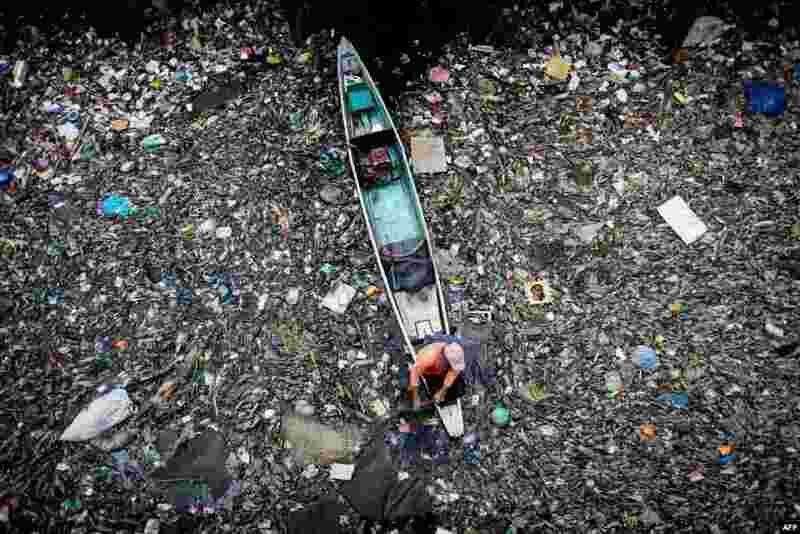 8 A worker collects garbage from the Marilao River in Bulacan, north of Manila, the Philippines.